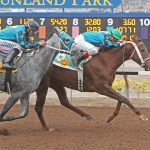 The speedy Tilla Cat sparked an upset win at 8-1 leading stablemates Tijuana and Diabolical Dame home in the $85,000 New Mexico State Racing Commission Handicap on Sunday at Sunland Park Racetrack Casino and Hotel. 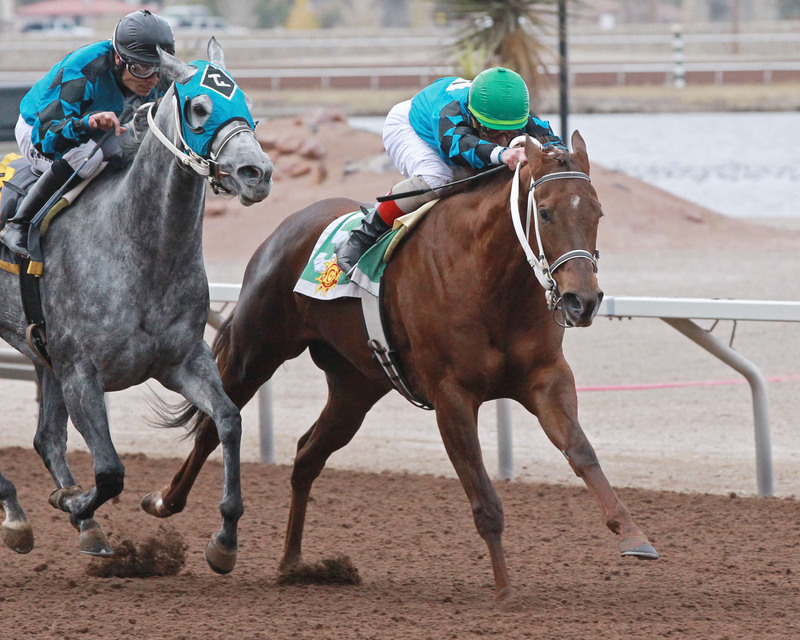 The four-year-old front running daughter of Attila’s Storm led an all-Todd Fincher trifecta in the rich stakes for New Mexico-bred fillies and mares racing five and one-half furlongs. 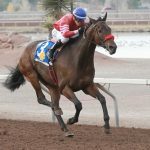 Under Tracy Hebert, Tilla Cat prompted the pace along with Waltzing Attila and had plenty of gas in the tank for the stretch run. She continued her responsive strides through the lane to hold off Tijuana by a half-length. She caught the distance in near track record time of 1:08.28, less than a second off the benchmark held by Redneck Humor in 1:07.42. Tilla Cat paid $19.60 to win. Tilla Cat’s fifth career win was worth $51,000 for owners Dale Taylor, R Lee Lewis, Joe Dee Brooks, Scott Bryant and Derrol Hubbard. 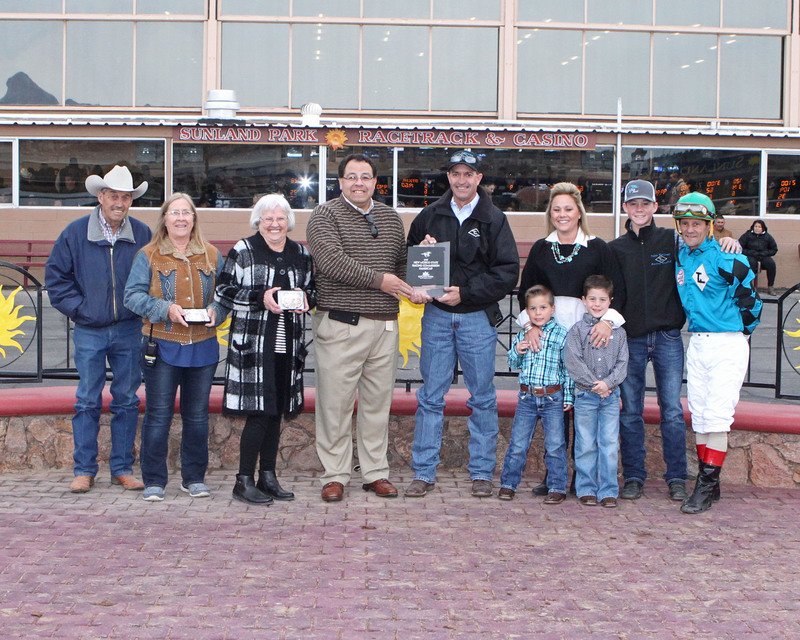 Todd Fincher trained the winner plus the second and third place finishers. 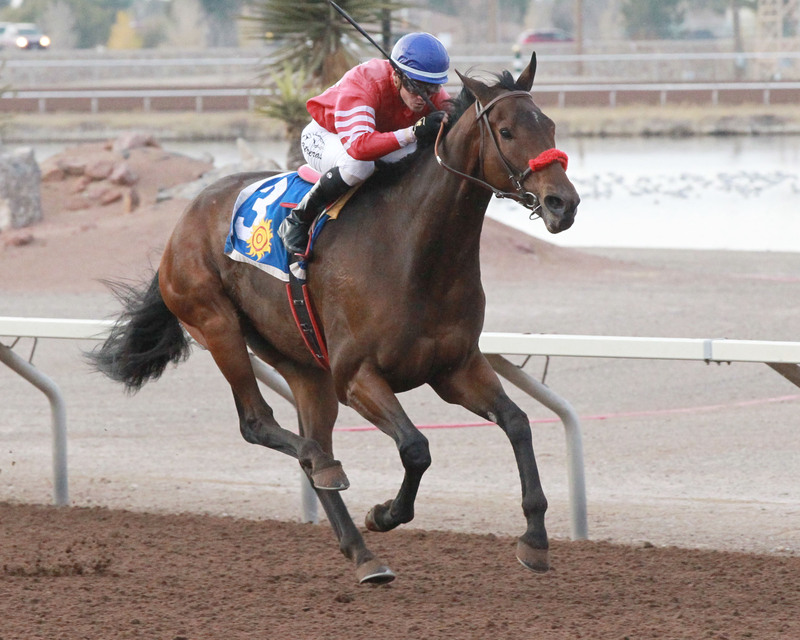 Tijuana ran a very brave race and finished a close second with jockey Jorge Carreno. 4-5 favorite Diabolical Dame wound up third beaten three lengths. The all-Todd Fincher trifecta paid $115.80 for a $1 ticket. 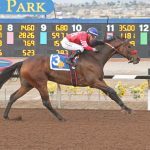 Shining Source closed like an express train under jockey Luis Contreras to take an expansive win in the $85,000 Johnie L. Jamison Stakes at six and one-half furlongs. The Blake Rust trained stakes winner sparked an explosive stretch bid and drew well clear to win by 2 and 1/4 lengths in a fast time of 1:13.94 seconds. 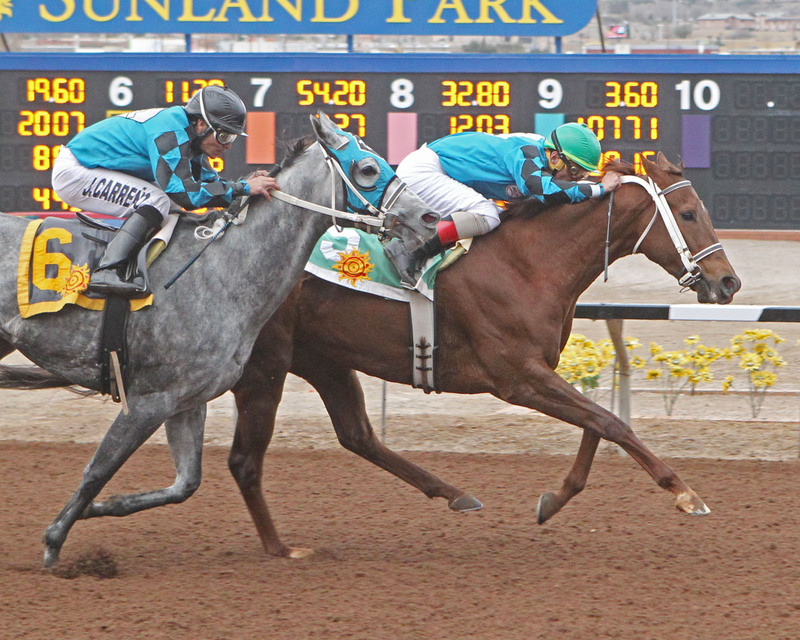 Luis Contreras began his enormous career here at Sunland Park. He is now a top rider at Woodbine and won the highly prestigious $1 million Queen’s Plate at Woodbine this year. 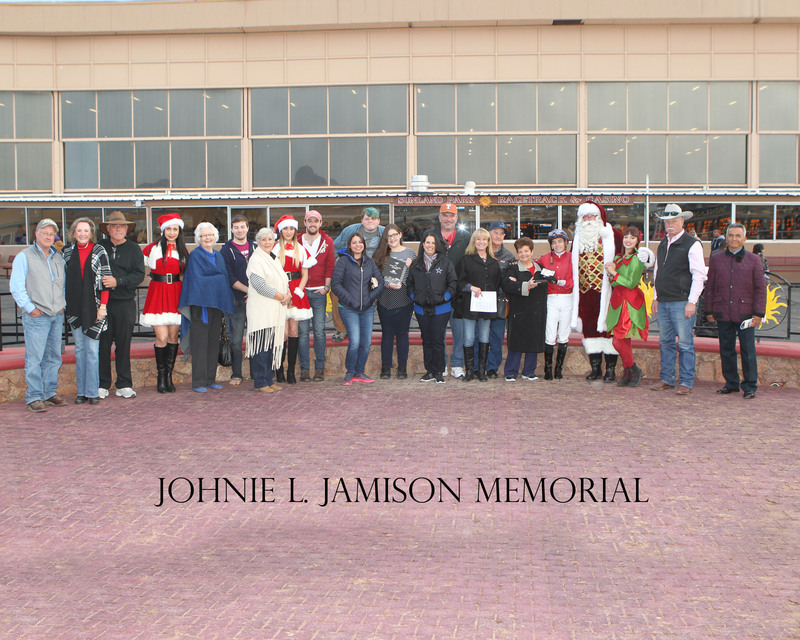 Contreras and Shining Source took full advantage of a hot pace in the Jamison Handicap and went on the attack as the speed horses began to fade. The 8-1 shot paid $18.00 to win. 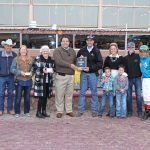 The winner’s check was worth $51,000 for the Barton Ranch Stables and Blake Rust of Altamont, Utah. 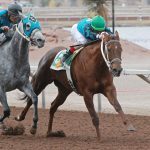 The six-year-old gelded son of Source has won 9 times from 36 starts with earnings topping $361,000. 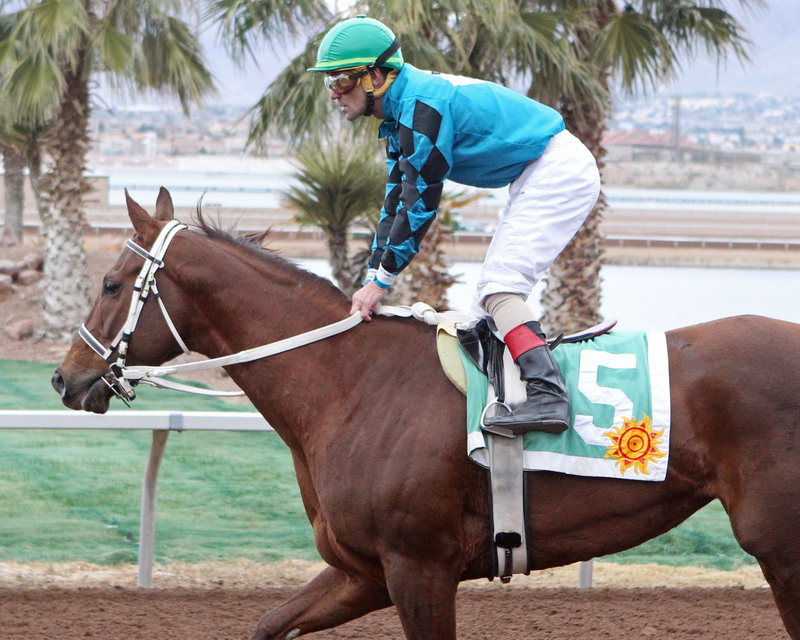 The expert stretch runner won the Jack Cole Handicap at SunRay Park last spring. Go for a Stroll picked up momentum in deep stretch to finish second. 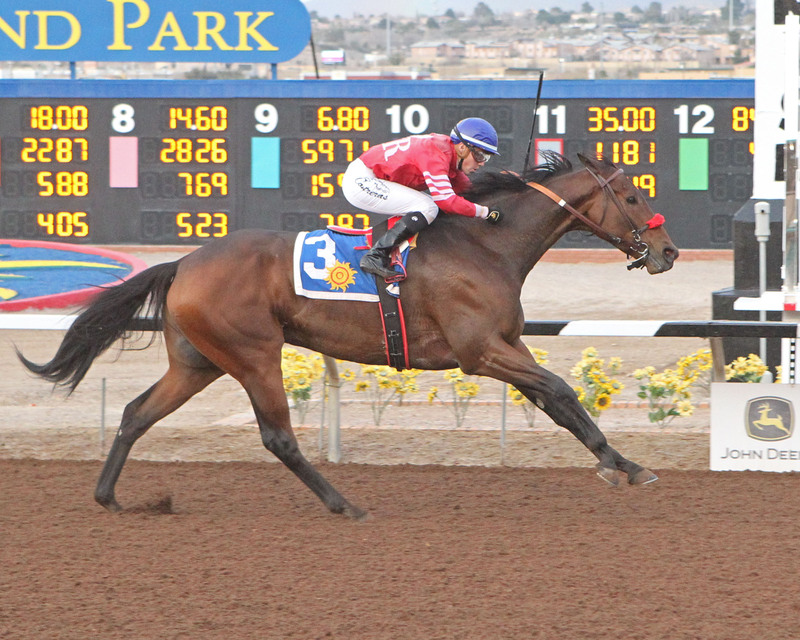 Way Nifty finished third after pressing the fast fractions of 21.87 and 43.96 seconds. Favorites Citizen Geller and Forger finished fifth and eighth, respectively. 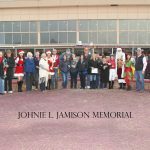 Live racing resumes on Tuesday at 12:30 p.m. Live racing continues next Friday, Saturday and Sunday Christmas Eve.